Brenda E. Radford, the Montgomery County Trustee, was recently elected President of the Middle Tennessee Trustees Association. Radford took office during the November 16th-19th, 2009, Tennessee County Officials Association Conference held in Nashville. 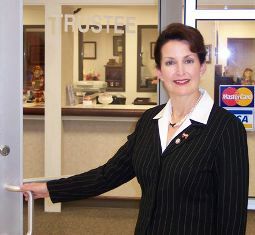 She has just completed a two-year term on the Tennessee County Officials Association Board of Directors.